RuneRebels Orion (2.9.5) - Demon Slayer! "Wow, that was actually pretty fun!" exclaimed Ryan after finishing up the book for the Black Knight's Fortress Quest. "I wonder what other books are almost complete down here" he said, as he started to fumble through the remaining books that looked nearly complete. There was one dark red book sitting on the corner of the Quest Desk, with an extremely faded title. Ryan picked up the book and blew off the dust to read the title. "Demon Slayer" he read outloud as he opened up the book. This one looked like it need a lot more work than the last book, so Ryan grabbed some magical frozen pizza and a Wizard's mind bomb and got to work. Happy Spring players! We are extremely excited to kick off the new season with yet another awesome additional to the RuneRebel's Quest Library. 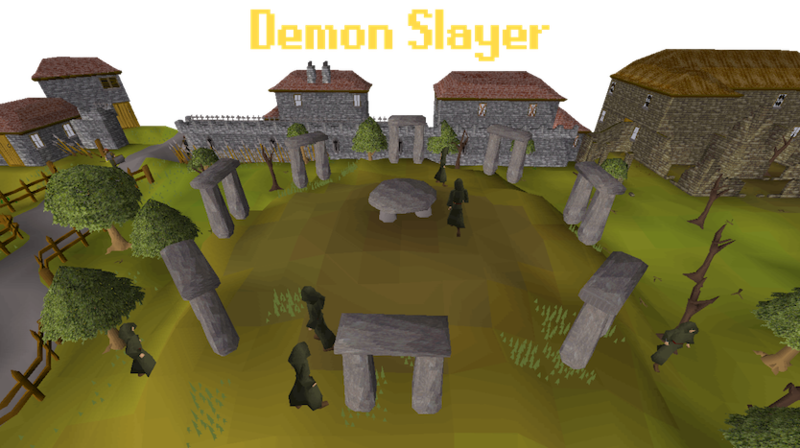 Today we are releasing the Demon Slayer quest, continuing towards the goal of having all of the Free to Play content implemented. We've put ton of work and effort into this Quest, and it has actually been in development for years! We can't wait for you to try it out and increase your Quest Point count. Let us know in the replies what quests you want to see next! • Added aggressiveness setting to DynamicNpcs. • Allowed the teleport step to only modify the player's personalization setting. • Added a default face direction to DynamicNpcs. • Allowed CheckQuestStatus to be used in conditional text logic. • Allowed CheckDynamicPart to be used in conditional text logic. • Fixed the "Move up" and "Move down" buttons on Quest Journal dynamic text. • Fixed a bug where Karamjan rum would break on login due to the player "teleporting" to their saved location. • Removed all the code for the Banana trees and added them as a global object item spawn, fixing a ton of bugs. • Bananas trees actually respawn now! • Banana trees no longer flicker when picked. • Moved "walk to" logic outside of the Client class and into it's own class. • Fixed a bug where spam clicking objects would delay the object's action. • Fixed a bug where SendMessage dialogue steps didn't have chat variables filled in. • Fixed a bug where you could remove equipment during a cutscene. 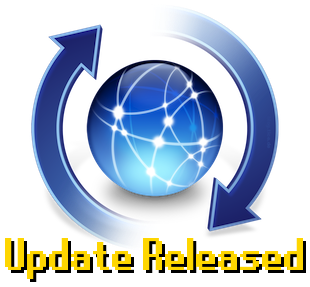 • Fixed a bug where certain cutscenes could exit early and jump back into the dialogue that triggered them, causing all kinds of issues. • Moved Item Spawns to it's own plugin (instead of RuneRebels). • Added support for items that have an empty message. • Added support for Banana trees. • Fixed a bug where some Pineapple plants couldn't be picked. • Made the Yanille areas extend up past height level 0. • Made the Varrock areas extend up past height level 0. • Fixed some floating White Knight spawns. • Fixed Farmer Brumty spawn location. • Fixed various Varrock Castle spawns. • Fixed various ladders and stairs in Varrock Castle. • Added the Demon Slayer quest! • Added support for Quest triggers when entering or leaving an area. • Added a trigger to progress the Black Knight's Fortress Quest if the player enters the fortress with the correct outfit without discovering it from a guard. • Fixed not being able to interact with the southern portal in the top floor of the Magic Guild. Re: RuneRebels Orion (2.9.5) - Demon Slayer! Fixed some floating White Knight spawns. this is awesome you guys! keep up the wonderful work.